Although I have been deep in multiple projects for the past two weeks, I found time the past few mornings to grab a few photos from the garden. 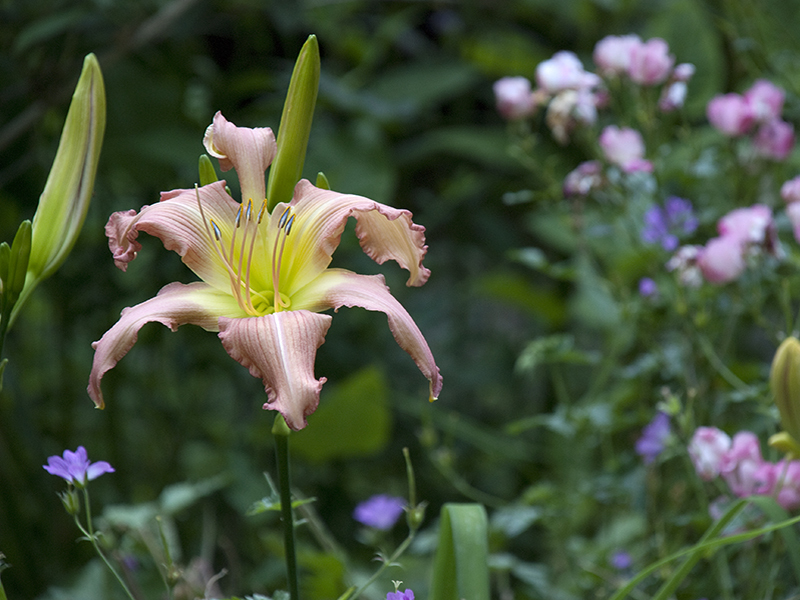 The intense heat has driven garden bloom from rose season into daylily season. 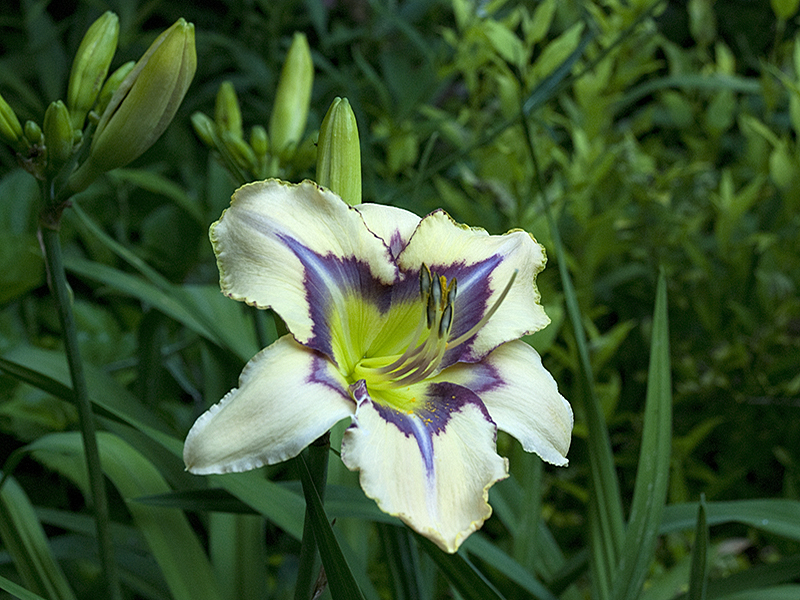 I love daylilies for their huge variety of color, shape, size and durability. If you are only familiar with the orange roadside dayilies, you may be surprised to find that there are literally thousands of modern hybrids to choose from, often with fanciful names and exotic shapes and patterns. 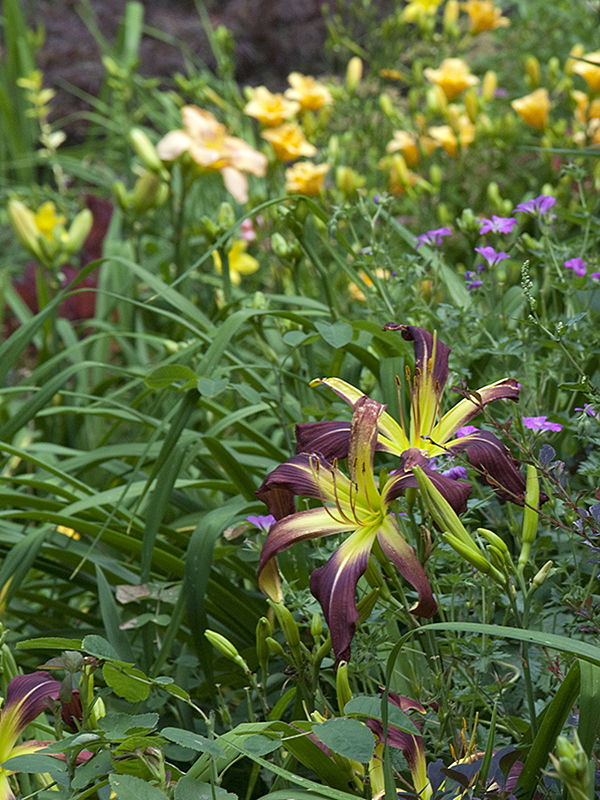 I love coordinating daylily bloom colors with other flowers and foliage. 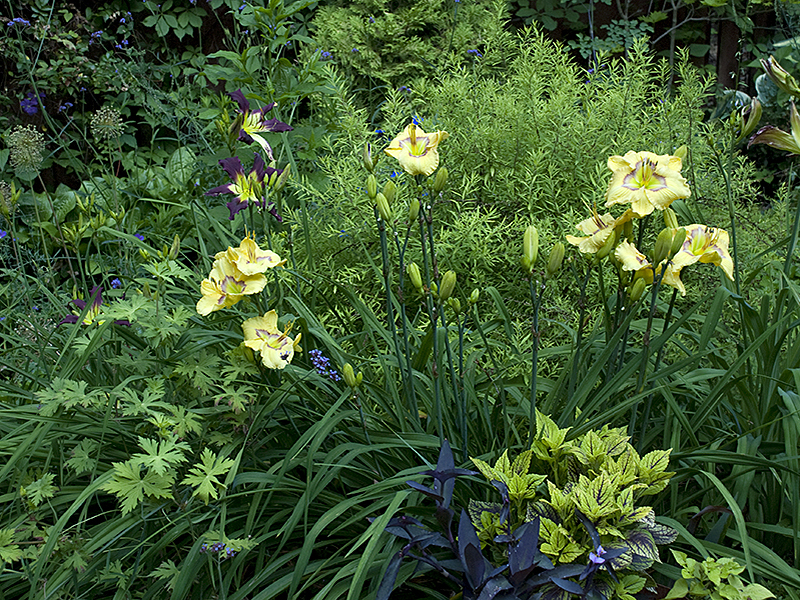 One of my favorite color beds in the garden is the “grape and lemonade” bed – cool lemons and deep purples, a color scheme inspired by daylily ‘Etched Eyes’ hybridized by Matthew Kaskel. Here are a few portraits of the early season bloomers. 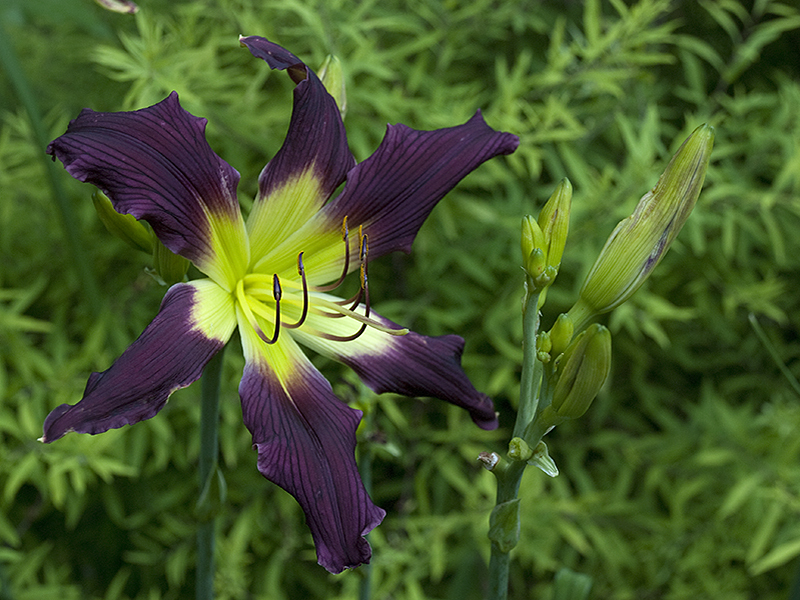 For more information on the wonderful world of daylilies, visit the American Hemerocallis Society. 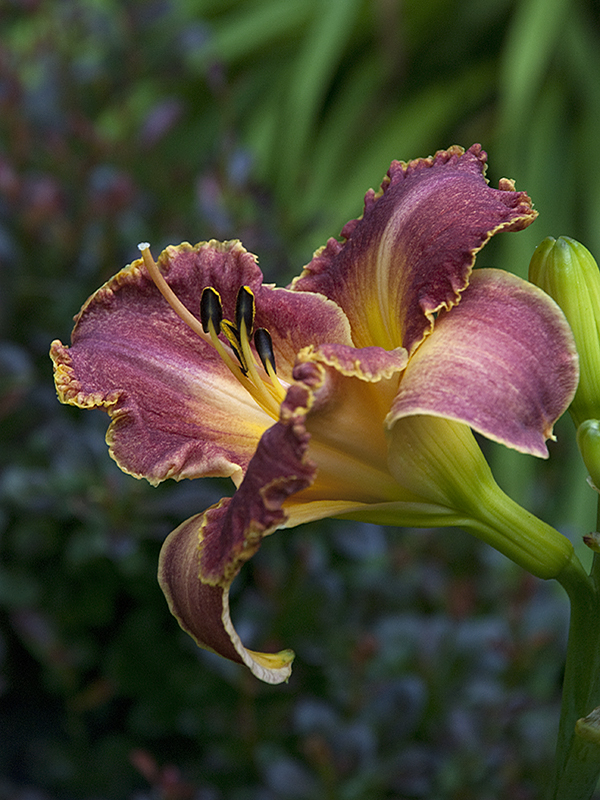 This entry was posted in Color in the Garden, Garden, Garden Design and tagged beauty, daylilies, daylily, flower gardening, flowers, garden color, gardening, gardens, hemerocallis, summer garden by composerinthegarden. Bookmark the permalink. An absolutely wonderful garden- the Diabolique is especially gorgeous! Absolutely beautiful! I love lilies! You have inspired me to add even more varieties to my perennial beds! Cheryl, thank you for stopping by and commenting. 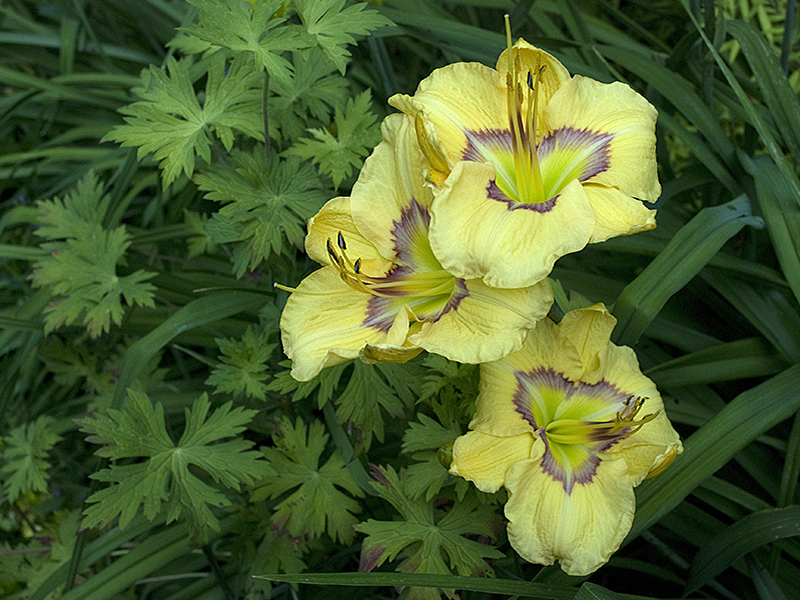 Daylilies are great garden plants and would do well in your climate. I enjoyed reading about your vegetable garden! Absolutely gorgeous. 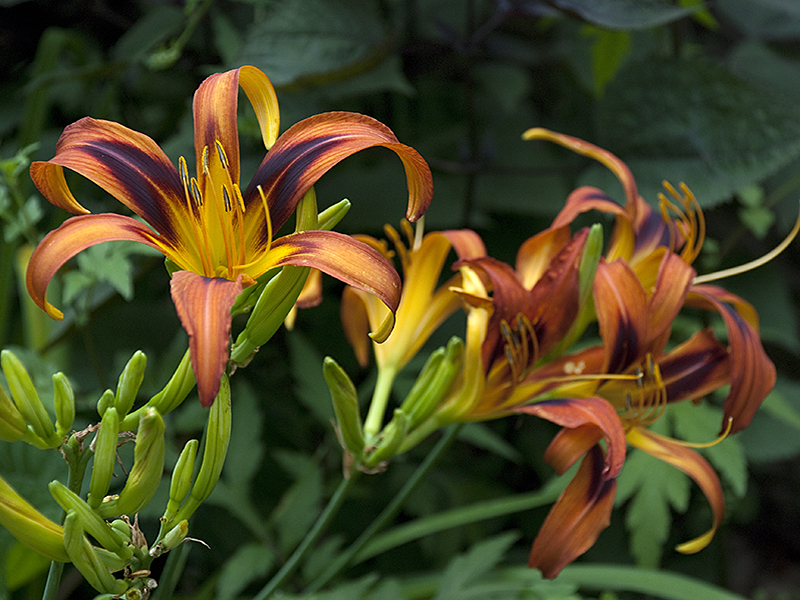 I’ve never cared much for lilies–until this minute. I love “Etched Eyes.” And “Full Moon Magic.” Their names truly sing! Vicki, thanks so much for visiting and commenting; I loved your Bach Flower Remedies post. 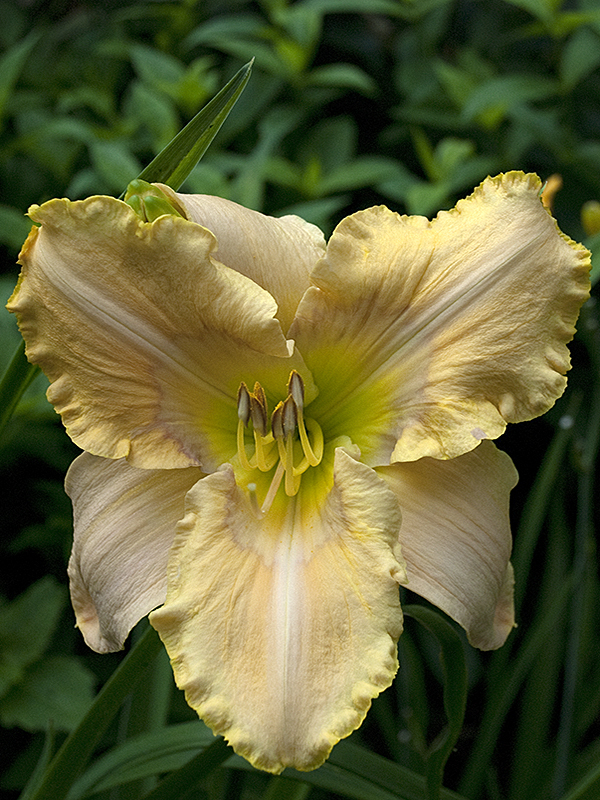 You picked two of my favorite daylilies; Etched Eyes is almost done for the season but Full Moon Magic has weeks of bloom left and always looks perfect. A toast to the beauty from your garden. Well done Lynn …. and sorry I’m late. Thanks, Frank! I’m just catching up now on visiting my favorite sites – had a very busy week teaching. No problem … by the way, today I have another classic cartoon character singing a classic! Love all of them. I only have 2 varieties blooming and a few more I just added, which won’t bloom this year. I’m looking forward to see more of these beauties in my yard; thanks for sharing yours. Paula, I think these are great plants for the mid-west, so I’m glad to hear you have a few. Watch out, they can become addictive! Hi Lynn, Only one word for all lovely pictures “Exquisite”. Some stunning images there! Do you have a problem with beetles on them ? 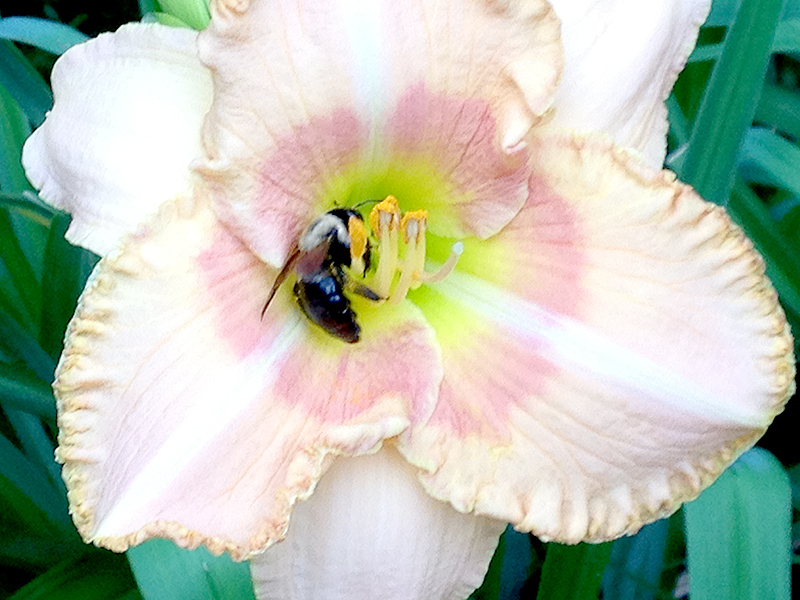 whenever I grow them I have to be so vigilant otherwise the Lily beetles will eat th e lot ! Great title for this post. 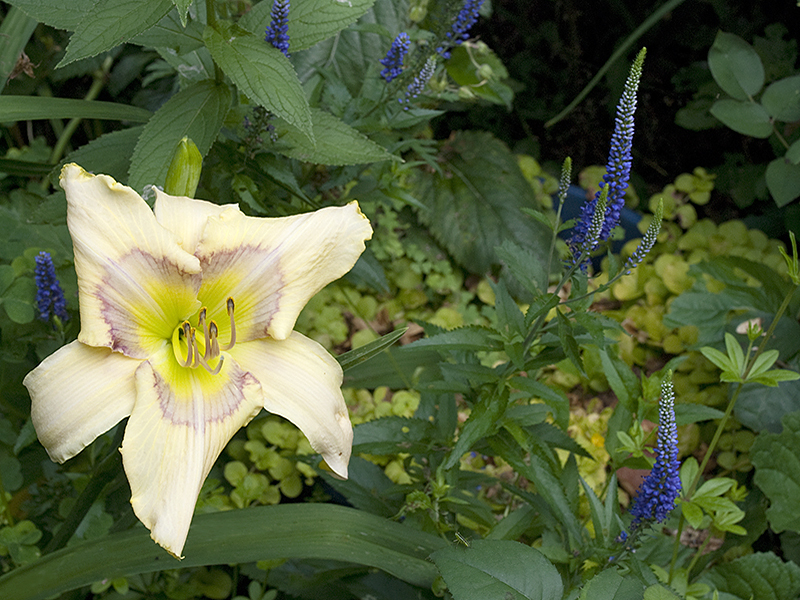 Thank you, Mike; I enjoyed your daylily post as well! I agree, Lynn. 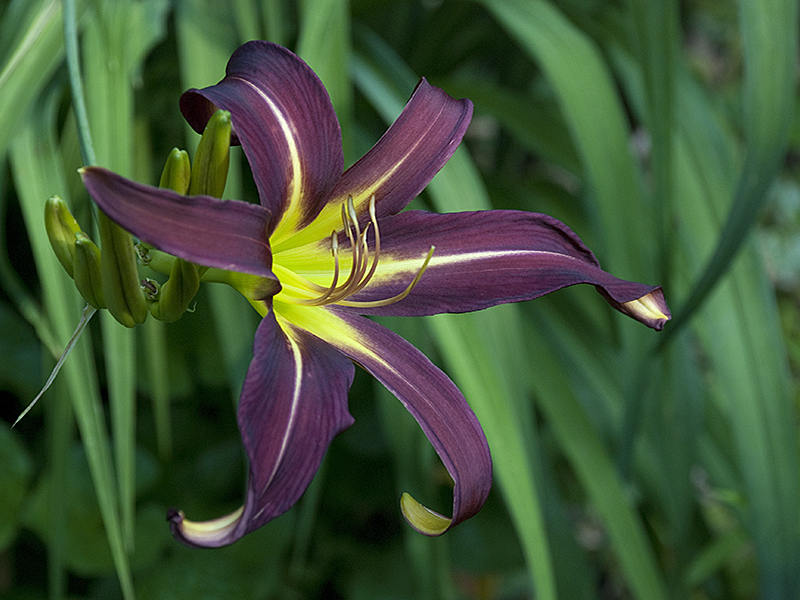 It is so awesome that you have so many varieties of lilies! The close-up photos are remarkable. Also i wanted to thank you for stopping by my blog! I can’t believe you have all of these in your garden. Between these and the irises, not sure which are more impressive.. Thanks, David. Many more images to come in the next month or so – probably my biggest collection of one plant genera. They continue to amaze me every year with their beautiful diversity. 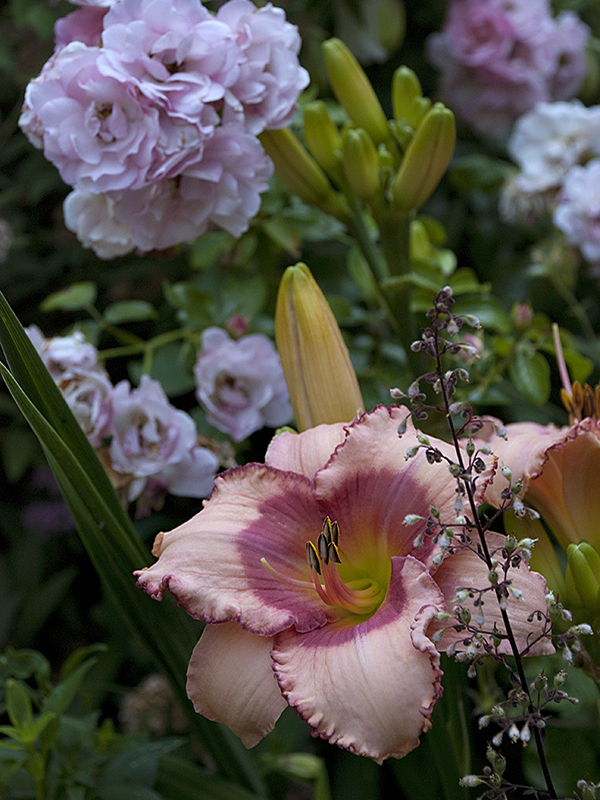 Such wonderful variety … so many colors and shapes in your garden! Thank you, Karyn. I do love the variety of these plants – every bloom is a new adventure! A beautiful collection! Oh to be surrounded by so much natural beauty!! Can you guess my favorite? Of course you can: “Diabolique”! That is one sassy lilly and I’ve never seen it before. I am so impressed with your gardening skills and knowledge. Thanks for giving me a session in beauty, which is everything. It makes me so happy! These are wonderful pictures. I especially like Full Moon Magic. I think that image has potential to be a really stunning black and white conversion as well. 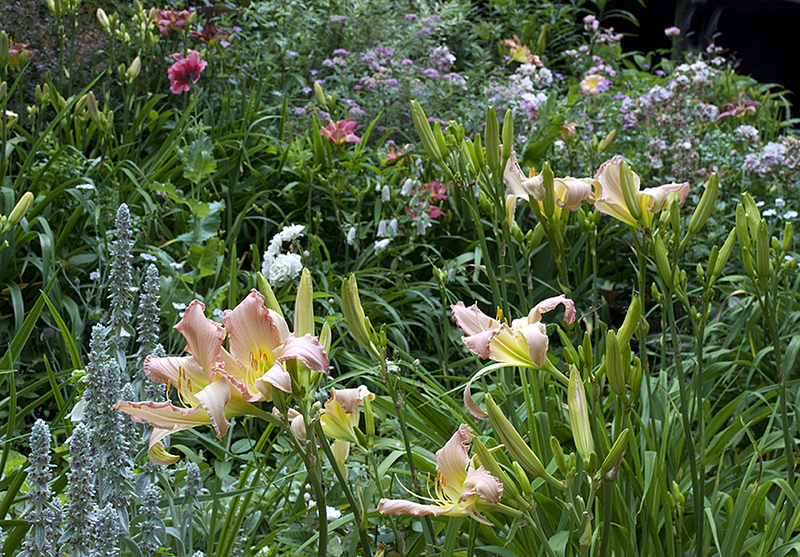 what a beautiful selection of day lilies you have. Aren’t they just glorious! I have maybe 4 variety and celebrate every bloom. Thank you, Joss. 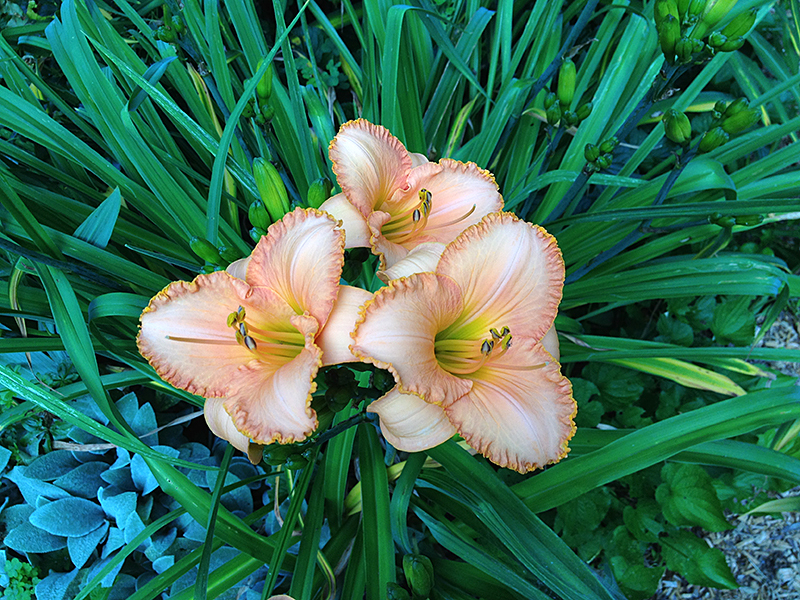 They are great plants, and I look forward to “daylily season” every year – glad to hear that you enjoy yours as well! Thanks, Vlad. 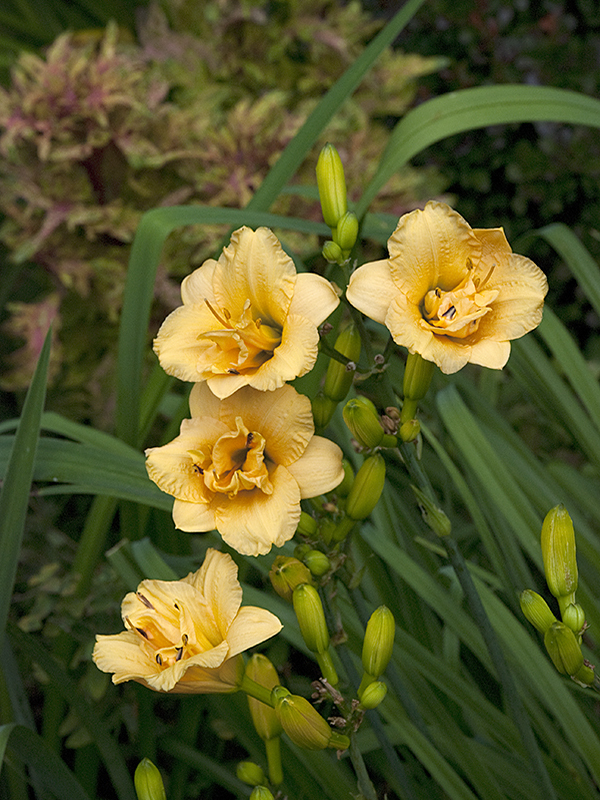 Those are the official names of each daylily registered with the AHS. Hybridizers apply for the names for each of their introductions and often favor literary and film references, music and song titles, or distinctive descriptive names. And yes, they do seem to have fun with them! You weren’t kidding about all the different varieties. I do see the telltale lily stamen present in all of the specimens, however…but the variety of petal shapes is surprising. Great set of images, Lynn. Thanks Kerry! 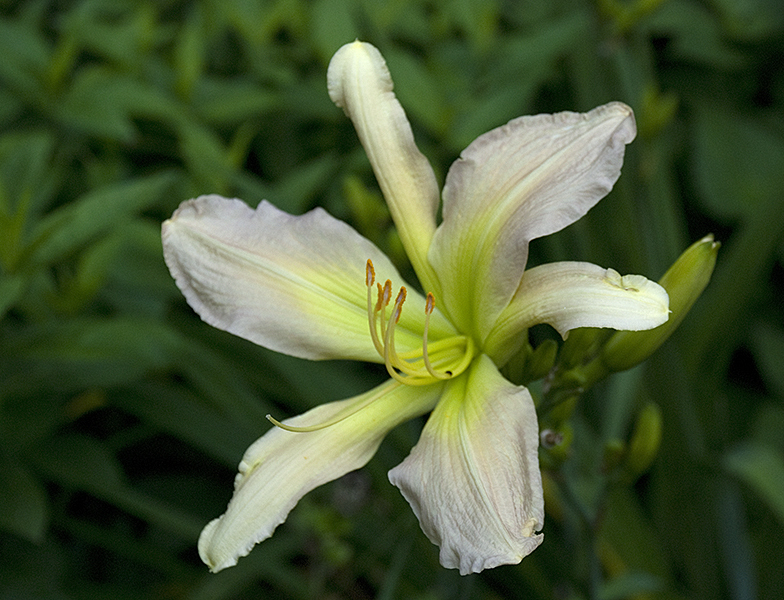 Daylily hybrids number over 20,000, partly because of very active backyard hybridizers and because the plants are so easy to hybridize and propogate. I love all the forms – doubles, round ones, spidery open ones, eyes and patterns, short and tall, big and small. It is pretty amazing! And this is just the start of the season; I’ll probably have a few more posts on these. Let me be the first to say Wow! What artistry and knowledge beautiful. +a Bee! Yea!